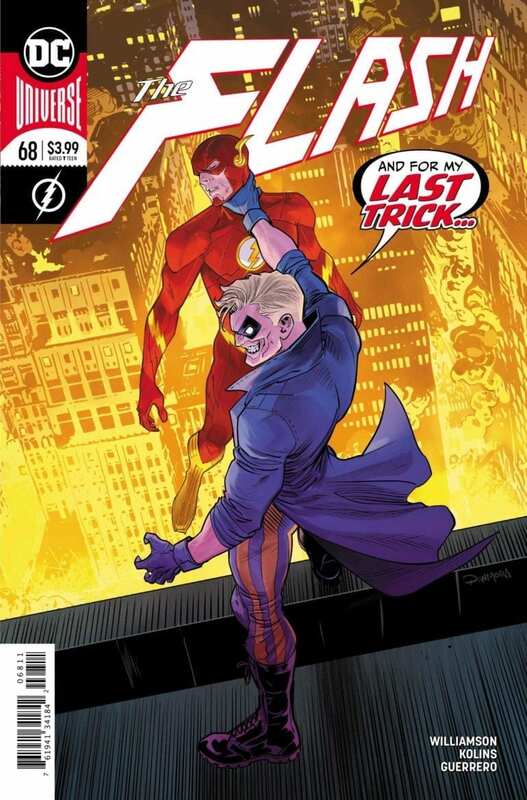 The Trickster has stepped into the spotlight and brings an intense yet fun story to the Flash series. Flash has returned from his team up with Batman to a changed Central City. The entire city has smiles on their faces and pleasant attitudes. This wouldn’t be such a problem if not for the fact it’s clear they capture those who don’t smile. This is thanks to the brainwashing of the Trickster, who is planning his come back. Will James Jesse get the last laugh over the Scarlet Speedster? We open to find James Jesse asking Commander Cold questions about the future. He hopes to learn that his name is remembered, especially after Warden Wolfe got rid of any evidence of his existence. After his search turns up nothing, James goes to happy-fy some civilians, including Barry. As he gets forced through the machine to brainwash him, Barry vibrates to get through unaffected. He quickly changes into the Flash and goes to find Cold. He frees the Renegade leaders down the pair team up to take on the younger Trickster. The Tricksters, however, have one last trick up their sleeve. This is a great issue. There’s plenty of action when fighting the Tricksters as well as suspense. 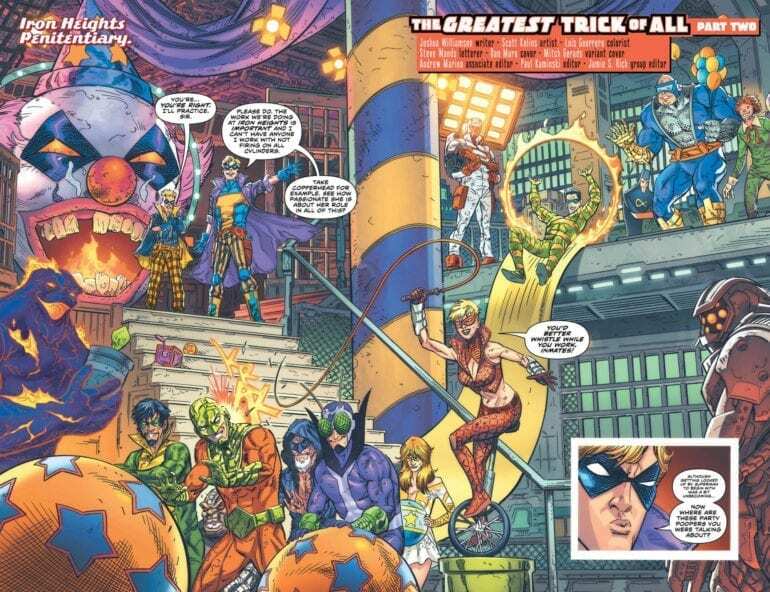 I won’t lie; I was nervous when the Trickster was revealed to be the next villain. Despite his history with the Flash, he isn’t exactly precisely an A-Class villain. This issue, however, shows he is indeed a force to be reckoned with. Just when Flash thinks he’s one step ahead, James reveals another trick to slip him up. Trickster has gone from being a knock off of the Joker to standing in the spotlight all his own. The only part of the comic I wasn’t a fan of was the very dark cliffhanger ending. While it does cement the threat that is the Trickster, it was a step too far. The Flash isn’t afraid of delivering darker story elements, but this was a bit of a leap. There’s no doubt that this is just another trick, but I wasn’t a fan of this. While I usually am not a fan of Scott Kolin’s style, it does fit the story exceptionally well. It allows the Trickster to look genuinely intimidating, yet colorful enough to keep his aesthetic. 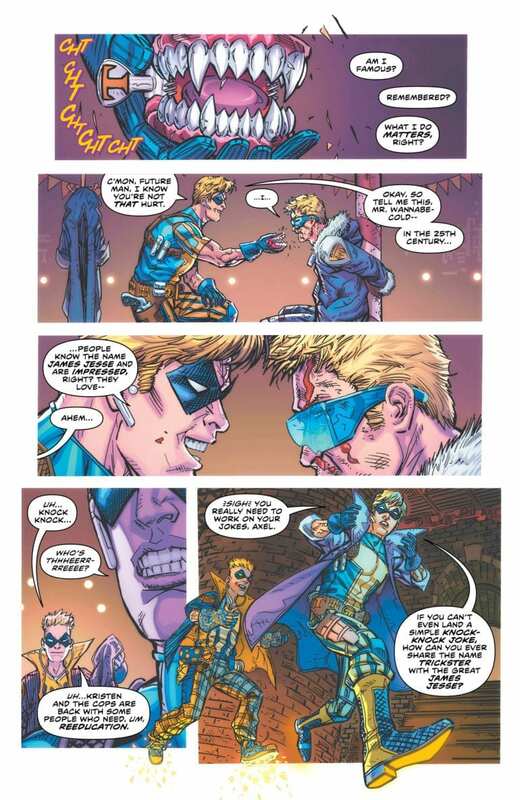 Every page walks that line of the lighter tones of the Flash and darker tones the Trickster’s plot promises. I am both terrified and excited to see where this art and the story go next. 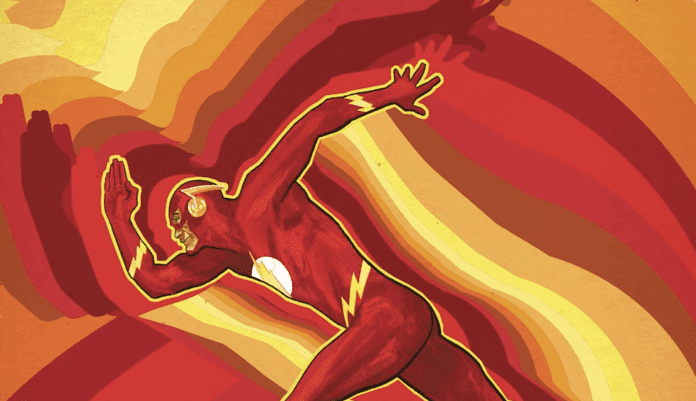 Overall this is a great issue of the Flash, and it’s all thanks to its villain. James Jesse is a great antagonist, and his actions in the story prove it ten times over. The art helps capture the style of the villain as well, making it both humorous and terrifying. While the cliffhanger might be a bit dark for this reviewer’s tastes, it’s another fantastic chapter to an already intriguing story.